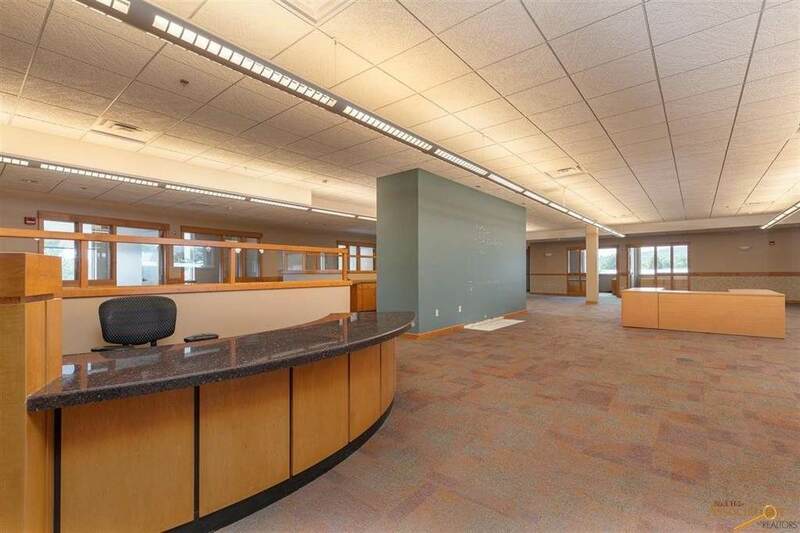 High profile, Class A, office condo in the prominent Gateway Building at the corner of West Blvd and Omaha St, right at the entrance to I-190 and Downtown Rapid City. 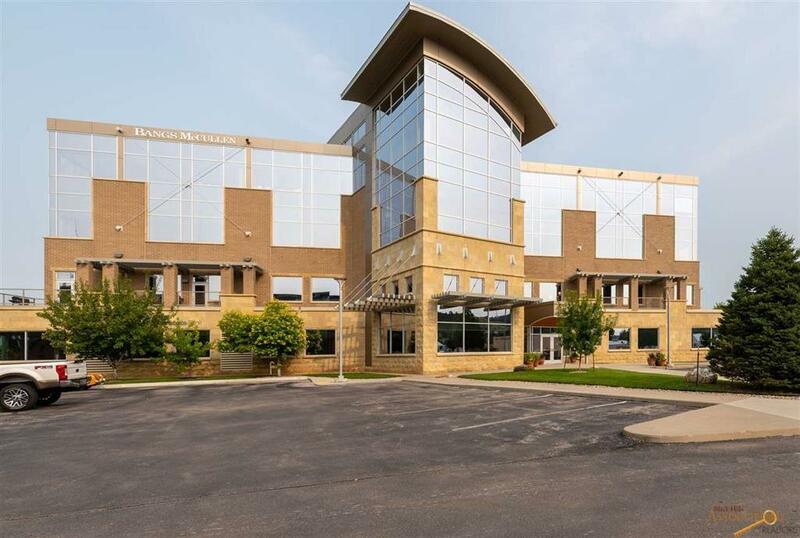 7,118 total square feet - 5,569 SF office with open floor plan, distinctive lobby overlooking the main level entrance and cafe, 14 private offices, and private patio on the south side of the building with views of downtown. 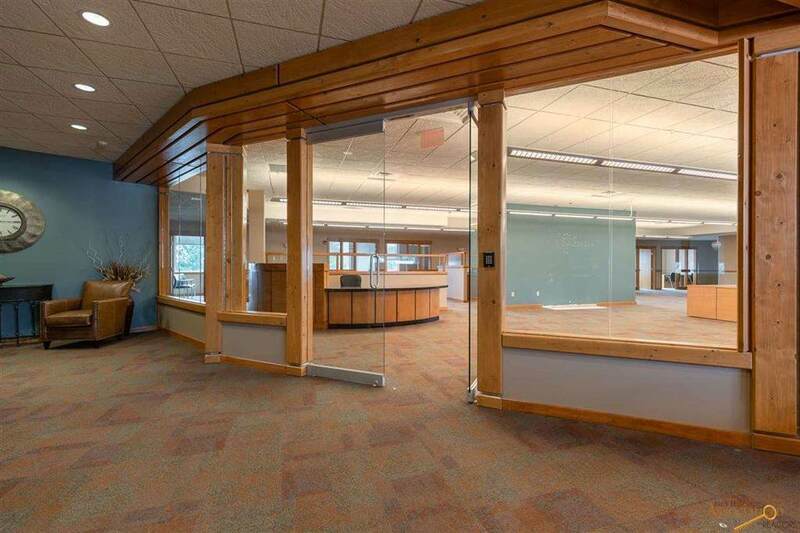 999 SF of common area (50% of the 1,998 SF total) includes large training room with audio visual tools, cafe/kitchen area and common bathrooms. Condo comes with approximately 550 SF of secured basement storage. 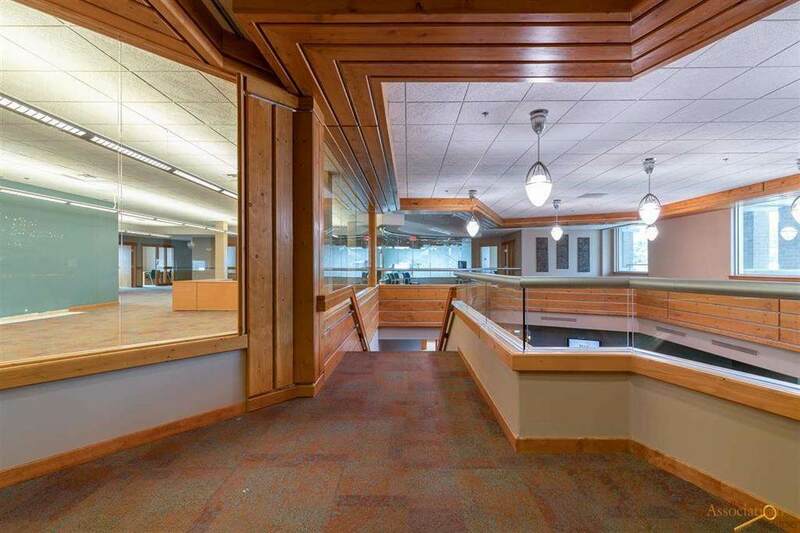 Building amenities include secured entry and exit, elevator access, abundant parking, and a cafe on the main floor. Space is also available for lease at $18.00/SF/YR NNN. Co- Listed by Chris Long, 605-939-4489, Keller Williams Realty Black Hills and Mike Alley, 605-390-2743, Exit Realty Black Hills. Listing provided courtesy of Michael Alley of Exit Realty Black Hills.